What a pretty village and what a lovely oldy-worldy pub, set right on the village green in the beautiful rural setting of West Lancashire. This pub oozes with traditional and genuine character probably because it’s been around quite a while, approximately 300 years (mid-18th century) we’re told. 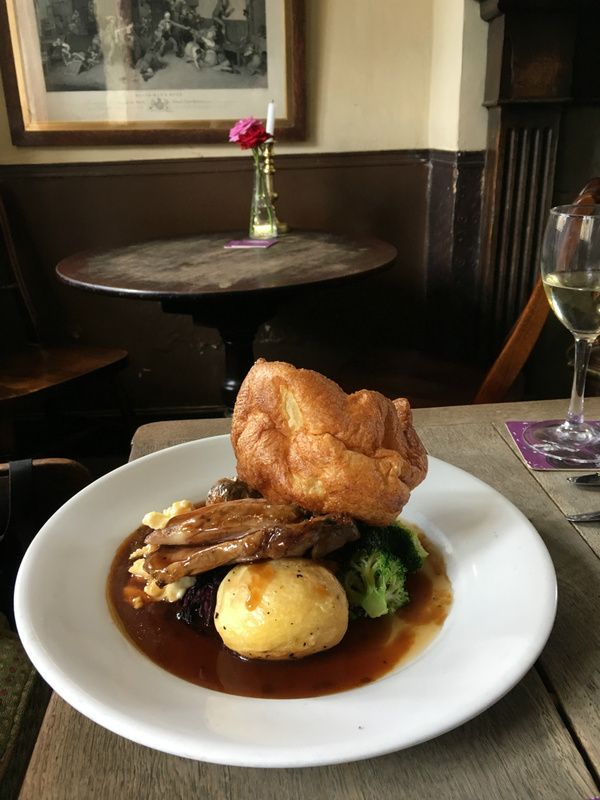 It really does feel like stepping back in time, with its heavy wooden furniture, worn stone floors, hand woven rugs, wooden panelling and lovey log fires, its cosy, its welcoming and well worth the trip out. It even has its very own (and beautifully presented we must say) farm shop and store right next door, filling every nook and cranny of the converted good with fantastic fresh local produce and wonderful quirky gifts. You can either choose to sit indoors and get the full force of the historical ambience out back in the plush garden area complete with a games lawn, bowling green and wildlife area, or out front facing the lovely village green, whatever you go for you will fully enjoy your drinking and dining visit without a doubt. There are not many left of these truly historical, ambient and cosy village pubs complete with village green, so make the most of it whilst you can. Bistro food at its best, located in the busy heart of what is fast becoming the recognised eating quarter of Liverpool City Centre, Wreckfish doesn’t disappoint. Beautifully simple in its interior styling, there are fresh flowers on display and a large wooden oversized communal table at the heart of the eating space that you can either commandeer or share, depending on your numbers along. You will also find some smaller individual sized tables for smaller parties and a separate private dining area for those that prefer a more intimate experience. 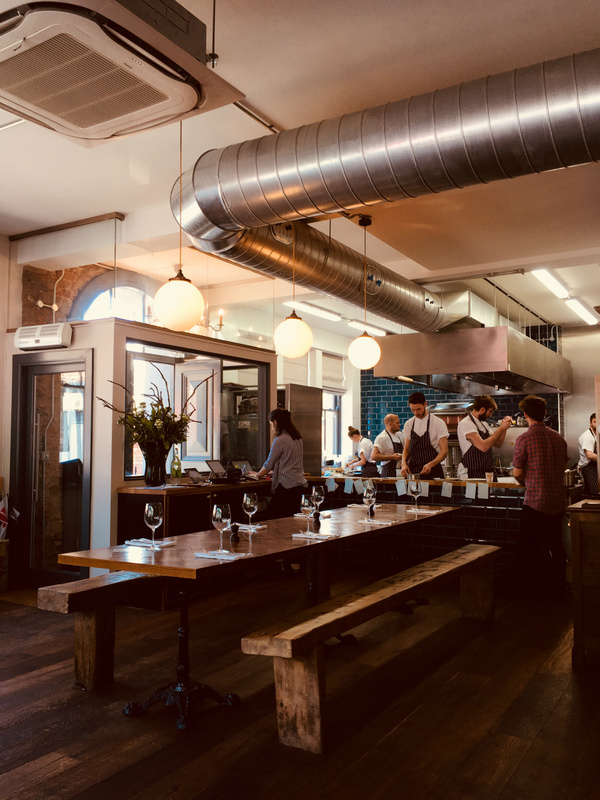 Apparently only open due to a very successful crowdfunding campaign and the use of what was once a derelict building, Wreckfish finally opened its doors in Mid-2017 after various financial campaigns and public involvement such as pop up dinners and pay as much as you think events! As if this success story wasn’t good enough, the food is impeccable; the staff were lovely, the interiors crisp and the location perfect. IF… highly recommend a table on first floor of Wreckfish, its light it bright and its relaxing and don’t plan your visit without trying the vegetarian risotto, one word.. stunning! If in Liverpool, go try Wreckfish, you will love it! This utterlycharming and very pretty restored countryside house and now gastro pub and inviting restaurant is set amongst 5 acres of lush green woodlands and a beautiful sea of bright Bluebells, the perfect jewel in the crown of the Merseyside countryside and only a 10 minutes car ride (max) from the beautiful beaches at both Formby and Fresh fields. 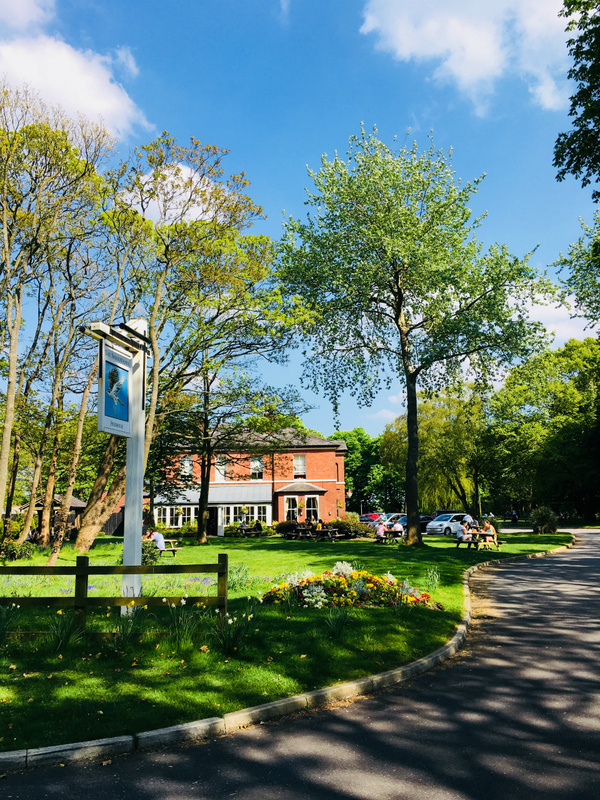 The Sparrowhawk, now beautifully restored back to its former glory, there’s outside seating and eating areas, gorgeous light filled conservatories, real log fires and a quirky collection of both antique and contemporary furnishing throughout this generous sized establishment. Think lived in armchairs, vintage book collections, retro lampshades, original old pictures, paintings, photographs and road signs and there you have it, the scene is set, contemporary country with a lived in feel. This is a wonderfully relaxed establishment, full of character and in a very beautiful and relaxing setting, they even have an old vintage tractor you can sit on and double swings, of course! One word ‘stunning’, set amongst beautiful lush green fields, forest and its own private lake, Moor Hall the 13th century (first recorded in 1282) restored manor house, hall and Michelin starred restaurant & hotel will make you feel very special indeed. Situated in the beautiful countryside of Aughton, West Lancashire (and only a 30 minute drive from Liverpool’s city centre) this five acres plot with its own lake (apparently the remains of a medieval moat) has been renovated and restored to perfection. 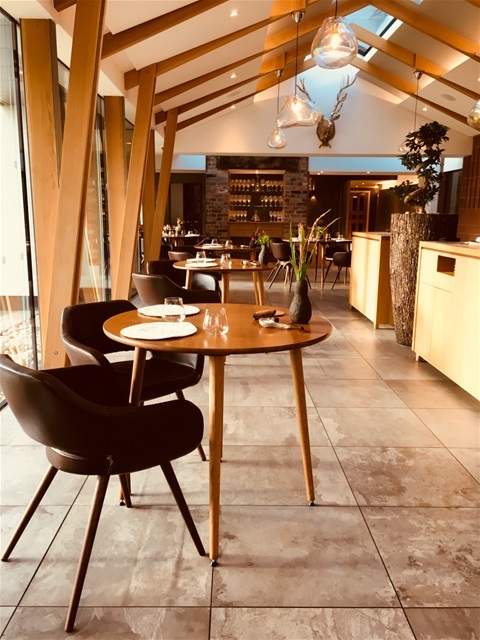 Classy, simple décor with a nod to tradition but with a sleek contemporary touch added, is everything you would expect (and more) from a Michelin rated contemporary establishment. The original part of the grade II listed gentry house is furnished with beautiful oversized sofas placed around the classic wooden carved fireplaces (that probably host hidden secret rooms behind them from times gone by). Gorgeous contemporary lighting sets the scene and lights the meticulously carved wooden panelling that adorns the house. Top end designer mirrored table reflect the original fixtures and the lounge area is just crying out for you to hang out in, with a delicious glass of wine, a spirit or even a cigar, if that takes your fancy. There is a choice of 3 exceptional taster menus (that increase in price and courses) that were all as equally tempting and as delicious as each other and that showcase current modern British cooking at its best. Most produce is grown on the actual estate and where not, is lovingly provided by only local suppliers. Dishes included cheese foam with wild mushroom and local organic potatoe, a composition of wild and organic carrots served in many ways, Herdwick lamb loin with Jerusalem artichokes to name but a few and the dessert of fresh apple with toffee was just sublime allowing for a full range of flavours. Moor Hall offers not only a top end restaurant on sight but the estate is also home to a vast collection of cheese (including local varieties) in its own cheese room, a comprehensive and well stocked world wine cellar and even its own farmhouse bistro in the converted stables right next door, offering a varied ala carte menu should you prefer a more informal setting. 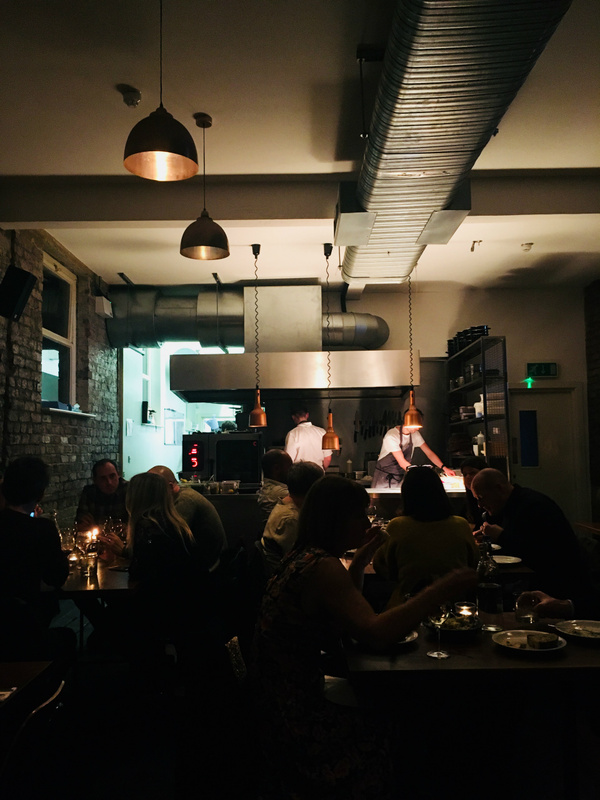 Great little cosy restaurant with an open kitchen that started life as a pop up. Originally situated in the super cool Baltic Triangle area of town, Oktopus has truly earnt its stars as a permeant restaurant located on Hardman Street. Really good rustic food made with love and at really affordable prices. The oysters were beautifully fresh (take two each) the chicken liver parfait was rich and creamy, the fresh from the grill sardines took me back to my summer sunshine holiday in Greece (delicious!) and the white cabbage and crayfish salad was crisp, crunchy, light and very tasty. All dishes on the menu are seasonal with fresh regional produce used, so you will always get something new and delicious each time you visit and with experienced chefs from other classic Liverpool restaurants, such as Maray and the Clove Hitch you simply can’t go wrong. It’s relaxed, its cosy, its comfortable, it’s well-lit and its fun, so what are you waiting for, book a table when you’re next in Liverpool city centre, you won’t be disappointed, yet another addition to Liverpool’s ever growing exceptional food scene.